Completely renovated in 2016, this privately run hotel is located in Munich's Laim district, between Munich Central Station and the Schloss Nymphenburg Palace. 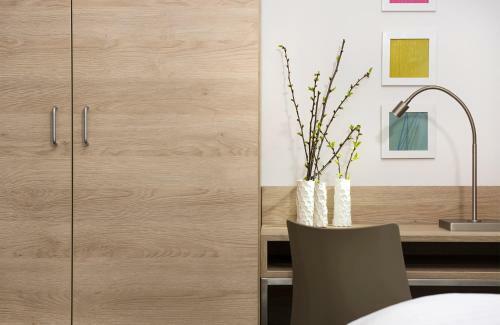 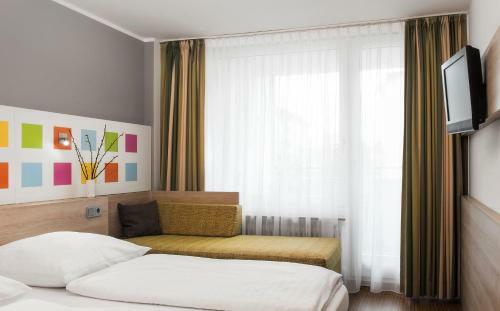 It offers free WiFi in public areas and direct transport links to Marienplatz Square. 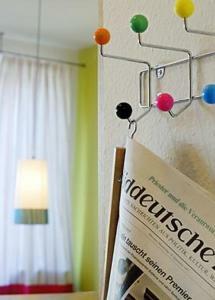 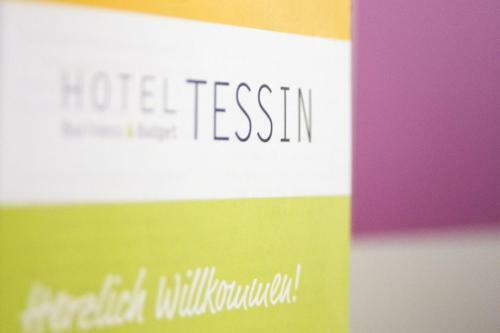 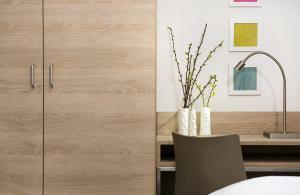 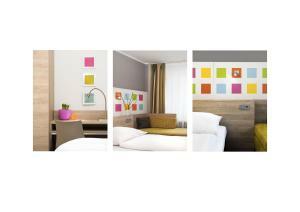 The Business & Budget Hotel Tessin offers affordable, peaceful accommodation. 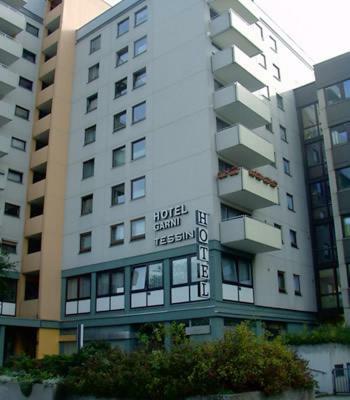 It is located on the 1st and 2nd floors of an apartment building. 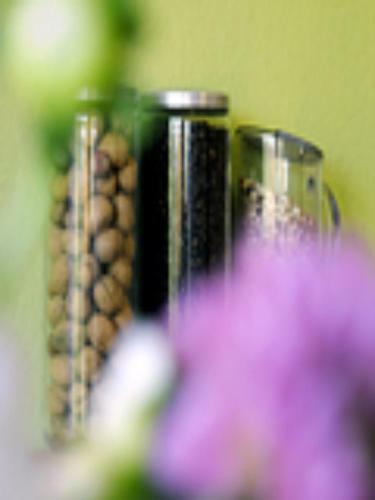 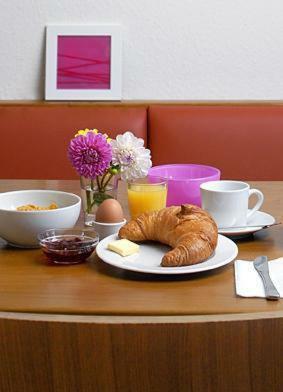 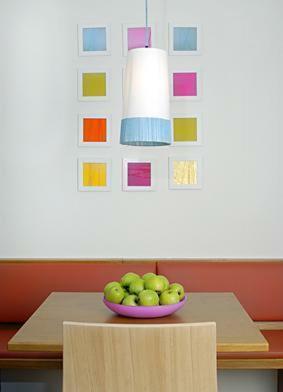 A large, all you can eat breakfast buffet can be ordered in the Hotel Tessin's colourful breakfast room each morning. Many restaurants, pubs and supermarkets can be reached on foot. 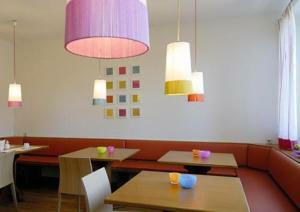 The large Hirschgarten park and beer garden is a 10-minute walk away. 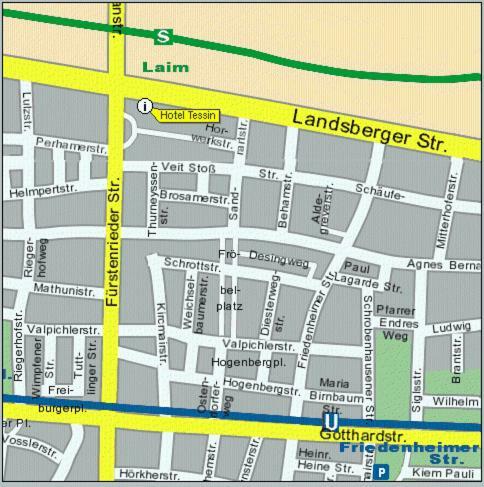 Laim S-Bahn Train Station is just a 3-minute walk from the Hotel Tessin. 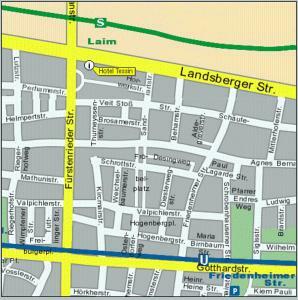 From here, Munich's main train station can be reached directly in 8 minutes, and the Marienplatz square in 10 minutes. 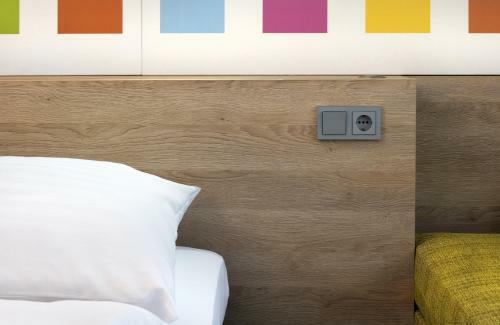 All guests arriving later than 22:00 are kindly asked to contact the hotel at least one day before arrival to organise a key pick-up. During public holidays it may not be possible to arrange a late check-in. Please note that a credit card is needed to guarantee your booking.